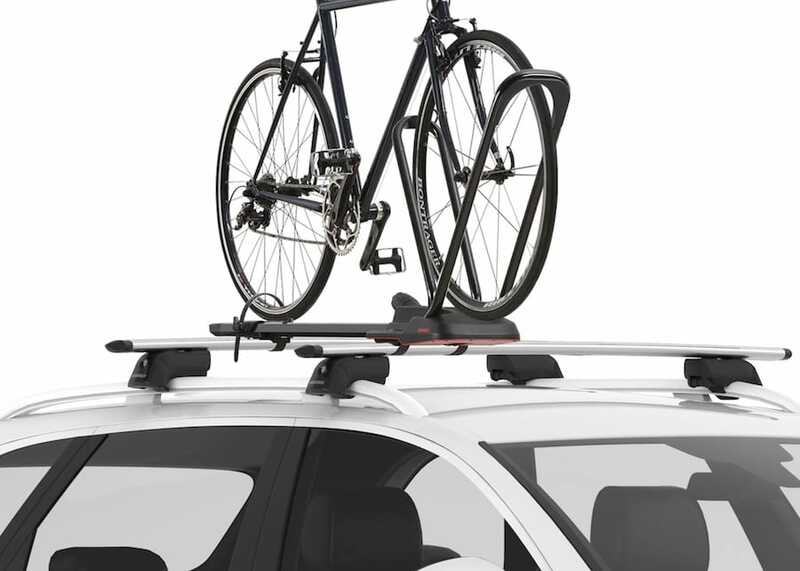 Yakima's newest premium bike carrier, loads a variety of bikes without touching their frames. Securing the front with an adjustment-free hoop and their TorqueRight™ tightening knob. As with their Front Loader, the universal fit will fit most kinds of crossbars including aerodynamic factory bars. All adjusting and securing is done comfortably and quickly, with a turning knob, at roof height.